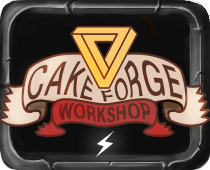 CakeForge Goodies | Ultima Online / RPG game source. Ultima Online / RPG game source. Heartfelt Holidays 🎄 and Happy New Year! The New gear & Fresh Look. Hello there, here are few new backpacks. As well come help to prepare other interesting game assets. In join Discord and Leave feedback. pictures at imgur Thank you for spending your time! Spread the 💚 if you enjoyed the art and my thoughts.